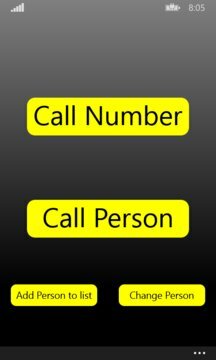 Phone skin to better type the phone number og selecting a person from a contact list. 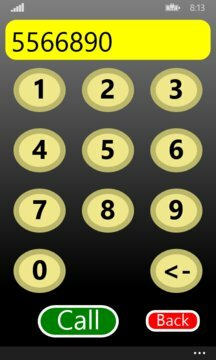 - To type a digit in the phone number, press the number button. The number button will change in color and size, and will start vibrate. Only when number button is released, the digit is recorded. As long as the screen is touched, you can slide to a different digit, if you started pressing a wrong digit. - Type in your own Contact list consisting only of Name and Phone number. The letters are big and easy to read. - When call a person from Contact list, press the Name. Scroll the list for more contacts. - It is easy to change Name or Phone number on a person on the Contact list or delete the person.